Achieve peak athletic performance with a Spine Scan and Trigenics consult. You do not have to be an ‘Elite Athlete’ to benefit from the expertise of Perth Chiropractor, Adam Rocchi. Whether you are a professional sports person or a keen amateur, if you are serious about your sport, you want to be able to perform at your peak. Whatever your sport or competitive level, you can benefit from ongoing Chiropractic treatment with a focus on personal best times, weight, improving endurance, form, flexibility, tempo or coordination. For all athletes, whether their chosen discipline is track and field, tennis, swimming or a team sport such as soccer, the worry of picking up an injury, particularly before an important competition is ever-present. For amateur athletes an injury that sidelines them for weeks or even months is bad enough – but for a professional athlete, it could be career ending. Call us today on (08) 6150 8785 (Scarborough) or (08) 6150 8783 (Mount Pleasant) to arrange your initial consultation and take your first step to being pain-free again. For optimum performance, athletes need careful preparation. Part of this is ensuring that maximum power to each muscle group is available. We also need sufficient flexibility for quick and smooth movement transitions. Be aware! Even large, well – trained muscles do not necessarily test strong when we perform specific muscles tests on them. The body is supreme at adapting and compensating for any shortfall in neuromuscular control. However, when demands on a particular action or movement are extreme, part of the neuro-muscular chain can break down and within a fraction of a second, an injury such as a sprain, strain, tear or avulsion can occur. Time missed through rehabilitation is a costly and frustrating reality for many athletes. Sadly, many struggle with the same injury their whole career. Chiropractic offers holistic treatment and looks at the function and structure of the spinal column and nerves as well as joints, ligaments, tendons and muscles. For competitive Athletes, the fact that the treatment at Spine Scan Chiropractic can achieve amazingly rapid results without the use of any medication is particularly attractive. A Spine Scan and Trigenics consult will identify any muscle weakness and strengthen it instantly. The blend of these two unusual techniques constantly amazes athletes as to how quickly strength returns. Treatment involves the light stimulation of nerve sensors within muscles and tendons in conjunction with a specific movement. 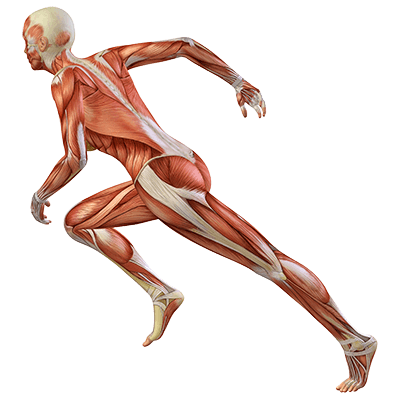 Each movement is different for each muscle. Strengthening does not occur after many weeks of training, it occurs while the procedure is happening. It is immediate change. It is immediate improvement. It is a treatment available from your Perth Chiropractor today! It is Neuroplasticity in action.